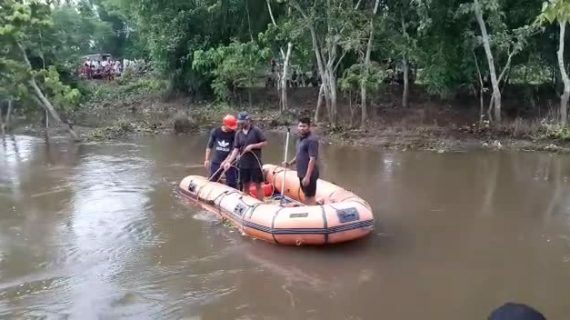 The body of the class X student Shiva Muda who went missing after falling into flood water at Bokakhat’s Jogania Ati village in Assam’s Golaghat district on Tuesday was recovered early Wednesday morning. Bokakhat Police had launched a search operation immediately after the student fell into the flood water on Tuesday along with SDRF personnel. However, the search operation had to be abandoned when darkness descended in the evening. When the search operation was resumed on Wednesday morning, the body of Shiva Munda was recovered from the flood water. The body was later brought to Bokakhat police station and sent to Golaghat for post mortem. Notably, Shiva Munda, a resident of pump line in the nearby tea estate fell into flood water when he was trying to wash his legs on Tuesday.